Work is no longer a place, it is an activity. You can now capitalize on previously wasted hours out of the office by working on the go. Every device. The same information. No matter which device you choose to work from; PC, mobile phone, tablet or laptop, you will see the same information. Data syncs in real time, allowing instant access to all of your firm’s information. 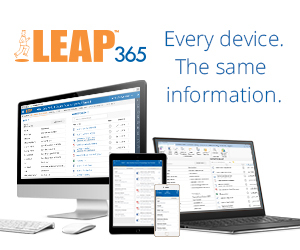 Because up-to-date information is literally at your fingers tips, firms using LEAP 365 can significantly increase the quality of service you provide to clients. You can now instantly respond to clients while out of the office. 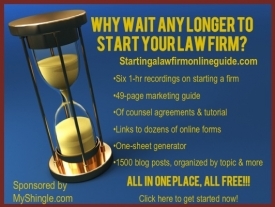 This builds trust, encourages repeat business, provides a competitive advantage and helps law firms grow. The convenience of the cloud and online document assembly in one system. Users can now merge letters, forms, and templates with client data right in their browser. This also means Mac users can now take advantage of this new legal technology innovation. LEAP 365 speeds up communication and collaboration within a firm which immensely improves organizational efficiency, allows law firms to do more work and make more money! For more information on how this ground-breaking new software innovation from LEAP is revolutionizing the legal industry and changing how law firms work, please visit www.leap.us or call 844-702-LEAP to schedule a live demonstration.